Bonnie Bassler’s research focuses on the molecular mechanisms that bacteria use for intercellular communication. This process is called quorum sensing. Her work is paving the way to new therapies for combating bacteria by disrupting quorum-sensing-mediated communications. Bonnie Bassler received a BS in Biochemistry from the University of California at Davis, and a PhD in Biochemistry from the Johns Hopkins University. She performed postdoctoral work in Genetics at the Agouron Institute. She joined the Princeton faculty in 1994. Dr Bassler is a passionate advocate for diversity in the sciences and she is actively involved in educating lay people. She is a member of the National Academy of Sciences, the American Academy of Arts and Sciences, the American Philosophical Society, the Royal Society, the American Academy of Microbiology, and the American Association for the Advancement of Science. Dr Bassler was awarded a MacArthur Foundation Fellowship in 2002. She is the 2006 recipient of the American Society for Microbiology’s Eli Lilly Investigator Award for fundamental contributions to microbiological research. In 2008, Dr Bassler was given Princeton University’s President’s Award for Distinguished Teaching. She is the 2009 recipient of the Wiley Prize in Biomedical Science for her paradigm-changing scientific research. She is the 2011 recipient of the National Academies’ Richard Lounsbery Award, and she is the 2012 UNESCO-L’Oreal Woman in Science for North America. In 2015 Bonnie Bassler and Everett Peter Greenberg received the Shaw Prize in Life Science and Medicine for their discovery of quorum sensing. 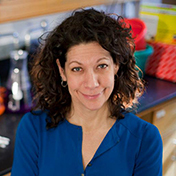 Dr Bassler has served as President of the American Society for Microbiology and she is currently the Chair of the Board of Governors of the American Academy of Microbiology. She is a member of the National Science Board and was nominated to that position by President Barack Obama. She is an editor for many journals and she serves on oversight, grant, fellowship, and award panels for the National Academies of Sciences, National Institutes of Health, National Science Foundation, American Society for Microbiology, American Academy of Microbiology, Keck Foundation, Burroughs Wellcome Trust, Jane Coffin Childs Fund, PEW Charitable Trust, Gordon and Betty Moore Foundation, and the MIT Whitehead Institute.